Fr. 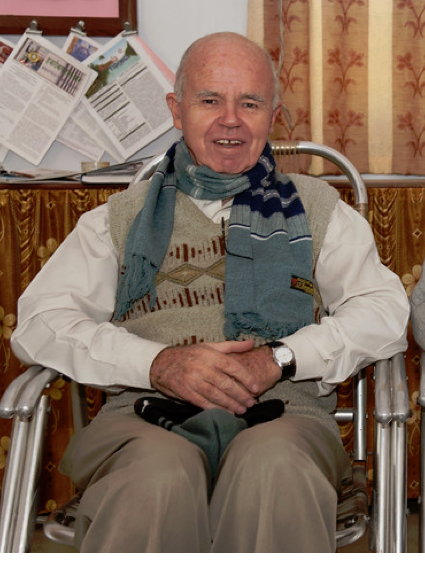 Bernard Donnelly SJ (1933-2017) , former Principal of SXS, Hazaribag (year 1985-1993) died Feb 16th, 2017 at Sitagarha around 12.15pm. His dead body was kept in sitagarha, hazaribag for the visitors for their last homage. Burial will be tomorrow (2/17) at Sitagarha at 2.30 pm. Fr. 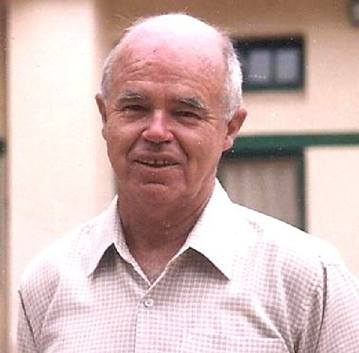 Donnelly first joined St Xavier’s in January 1958 and like a number of his contemporaries he came to the school straight from Australia, spending three years in the classroom and as dormitory prefect. After that he lived in Ranchi for two years, during which time he studied Hindi and took his degree from St Xavier’s College. In the years between this and his taking up the post of Principal in January 1985 Fr. Donnelly was engaged in a number of Jesuit undertakings including a year with Fr. 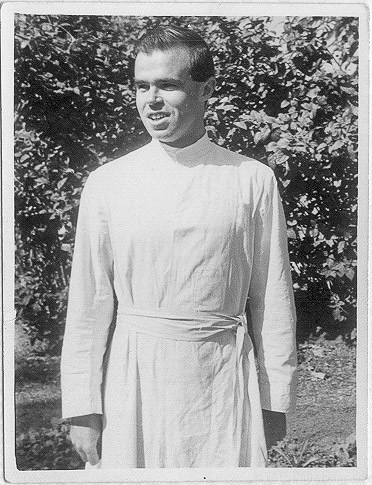 Moore in Bokaro Steel City as Manager and teacher, and six years (1974 – 1980) as Regional Superior of the Hazaribag Jesuits. Fr Donnelly brought St Xavier’s into the computer age. He installed a computer in the office, probably the first school in the town to have one. Then to provide for computer teaching that would be available to students of St Xavier’s and also St Robert’s, which was still in the campus, he did some building alterations and opened the Fr John Moore Computer Centre. Fr Donnelly was instrumental in reviving contacts with former students of St Xavier’s. HOXA underwent a rebirth; one of the results of this was that a group of HOXAN doctors, including Dr Sandeep Mukherjee and Dr Lalit Jain formed a volunteer medical team providing psychiatry services; an offshoot clinic now functions from the school campus, the first Wednesday of each month. During his tenure as Principal Fr Donnelly’s easy friendliness and unassuming relationships with staff and boys, as well as old boys, made for a happy school family. Few days back Fr. Bernie was admitted to the Medanta Hospital, Ranchi for the treatment of a broken head of femur (a part of the bones in the hip). Same time, he also underwent open heart surgery for multiple blocked blood vessels in the heart. Everything had gone well so he was discharged and brought to Sitagarha , Hazaribag for medication and rest. However, starting on the 15th of February, 2017, his health took a turn for the worse; on the 16/02/2017 morning he was taken out in wheel chair trip along the corridor. Later he developed breathing difficulties and quietly passed away at 12.15pm. May the loving Lord give him eternal rest and consolation to all his dear ones. We will update this page with more info on Fr. Donnelly. A kind, soft spoken person with a ready smile, who we will miss immensely. Rest in eternal peace Bernie Donnelly. RIP Fr. Donnelly. You had a contagious smile right from the day you landed in SXS Hazaribagh. You are fondly remembered by all that met you. We are Blessed to have known such a remarkable person. You are now in the arms of our creator and may HE bestow you the choicest place in the Heaven. If my memory serves me correctly I believe Fr. Donnelly was originally from Newzealand. A wonderful, kind hearted, humane and a dedicated Jesuit, Fr. Donnelly's contribution to the cause of education in a newly independent India will always be remembered especially by those who were fortunate to have been with him at Hazaribagh. RIP Father you will continue to live in our hearts. Ajit Singh. Fr. Donnely was a wonderful person and good administrator. After taking the charge of principal from Fr. Doyar he put more stars in the lap of St. Xavier. It was the golden era during his period. He was loved by everybody; the students and the teachers. I was socked very much by his death. He brought me in St. Xavier as an Office Assistant and turned me into a computer teacher. Thank you father, I am very grateful to you. I offer my prayers for your peaceful journey. Fr. Donnelly was one of my first teachers at St. Xavier's in 1958. Among other things, I remember him teaching us English Literature where we read the book "The Cruel Sea" by Nicholas Monsarrat. He was always a jovial man, very friendly with the boys as evidenced in these early 1960s photographs with my batch. A few of us had the pleasure of meeting him again and spending some time with him when we visited Hazaribag in 2011. 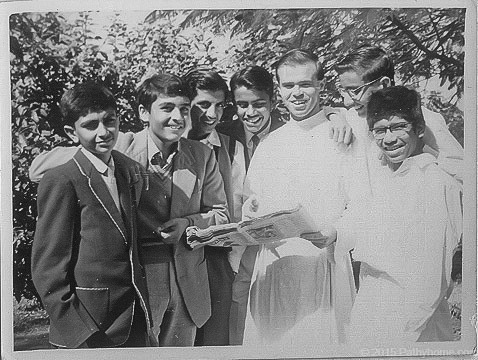 It is indeed commendable to see how dedicated young Jesuits like Bernie Donnelly sacrificed their entire lives in a foreign land to educate us. We are for ever indebted to the likes of Fr. Donnelly. We can only pray Father and offer our condolences and try to follow the path shown by you. You are unforgettable father.I remember the days when you came to teach us moral science. Being in your class mattered a lot for me. Very happily i use to tell to the people that pincipal sir take our class and it was a matter of pride for us.May you rest in peace father. I had the privilege and the honor of knowing Fr. 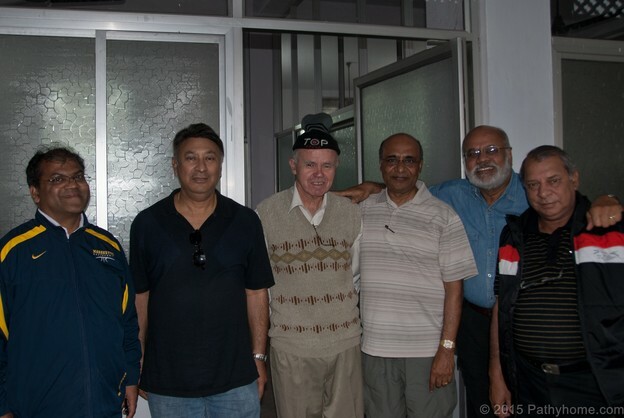 Donnelly and the other Australian Jesuits during my days at St. Xaviers, Hazaribagh. The unparallel dedication of Fr. Donnelly and the other Australian Jesuits is simply remarkable and unique. Their work among the poor in distant lands is a testament to them. I remember Fr. Donnelly's smile even after all these years. We, as students, owe them a debt beyond words. The world is a better place because of them. Rest in Peace!